Dunsborough’s growth from sleepy seaside town to the playground of Perth’s elite has forced local real estate agents to change their businesses models to better deal with their new clientele. Listed residential property developer Cedar Woods has expanded its residential property portfolio in Melbourne, paying $24 million for 57 hectares of land in Lalor. The new owners of Jandakot Airport are in dispute with tenants just a month after taking possession, with an independent review recommending rental increases in some cases of more than 100 per cent. Company directors are being urged to pay extra attention to continuous disclosure rules as not only the corporate regulator but disgruntled shareholders jump on the litigation bandwagon with class action law suits. The increasing spread of regulation and the faster pace of regulatory change have been two of the biggest issues affecting industry policy over the past two decades, according to outgoing Chamber of Commerce and Industry of WA director Bill Sashegyi. Don’t like lawyers? Soon you may be hearing and reading a lot less of them, as a move is made to stop barristers and solicitors speaking to the media. Listed Western Australian developer Peet and Company Ltd has announced a strong half-year profit of $17.1 million, up 67 per cent from the same period last year. Some well-qualified Perth lawyers working in the field of construction law are using their understanding of architecture to better communicate with their clients on the issues that may arise on projects. The board of LandCorp has approved more than $17million in civil works for projects in three regional Western Australian locations where the current resources boom is putting pressure on community infrastructure. The dramatic change in Perth’s office leasing environment in the past 18 months has analysts widely tipping 2006 to be the year of the landlord. Triggered by development, Perth city has made a noticeable shift towards what is now known as the ‘west end’ during the past 20 years. Joint venture partners Hawaiian Management Group and Multiplex are preparing to file their third development approval within a year for a $300 million retail and residential redevelopment in the heart of Claremont. The results of a recent survey have challenged gender stereotypes and their perceived relationship to residential property purchases. Woodside Petroleum has taken out space in two CBD buildings to house 160 of its staff, just two years after moving in to its purpose-built St Georges Terrace tower. Rio Tinto subsidiary Hamersley Iron is understood to be in the final stages of negotiation with privately owned Hawaiian Management Group and Multiplex to become the anchor tenant for the proposed Bishops See development. Western Australia’s ongoing commodities boom is good news for the state’s residential property sector, which grew at 21.7 per cent last year, largely on the back of the strong resources performance. The decision last month by the Trade Marks Office allowing local ugh boot producers to call their product 'ugh-boot' has not been appealed by US company Deckers Outdoor Corporation. Bennett & Co and Phillips Fox Perth today revealed the name for the firm which will merge to become the second largest firm in Western Australia: Lavan Legal. Bunnings has ranked among the world’s top 250 retailers in a recent study by accounting firm Deloitte. 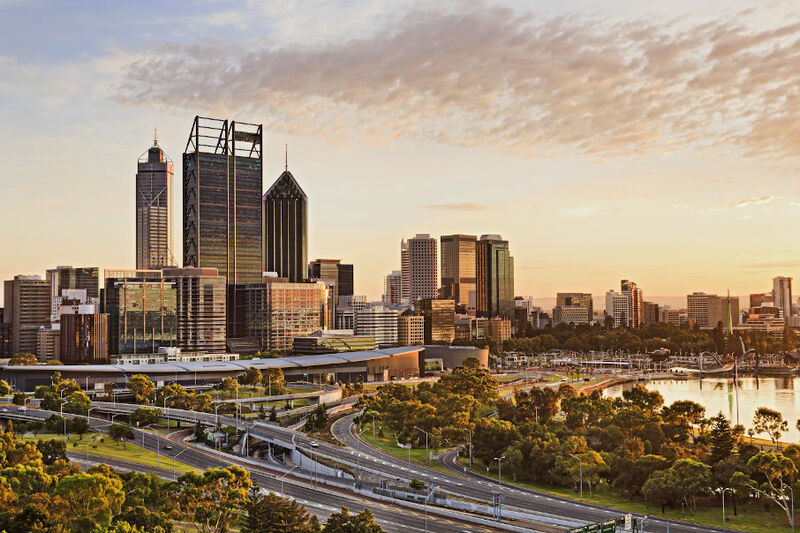 Perth’s CBD office vacancy rate has plummeted to 5.8 per cent, effectively signalling a full office market, and with no major new supply under construction, the tight office environment is expected to continue for at least two more years. Mandurah’s strong growth has continued with the completion of stage one of the $40 million Seashells Mandurah Resort and settlement pending on the first 79 apartments. The iconic Blue Duck restaurant in North Cottesloe has been bought in partnership by the owners of Scarborough’s Villa Bianchi. The iconic Blue Duck restaurant in North Cottesloe has been bought by Graham Edwards, owner of Scarborough's Villa Bianchi. A case involving a man suffering from alleged asbestosis due to working in an asbestos contaminated mine in Wittenoom has been ordered for a new trial in the District Court by the High Court. An entity of Entrust Funds Management has taken an $8 million stake in the Aspen Group's recently acquired Dunsborough Lakes Project, joining the Wyllie Group and Aspen in each holding a 20 per cent stake in the project. Construction will get under way later this month on the $125 million transformation of the Midland Gate Shopping Centre.